Dazed and Confused magazine has just posted an interesting article about Scottish artist Robert Montgomery. 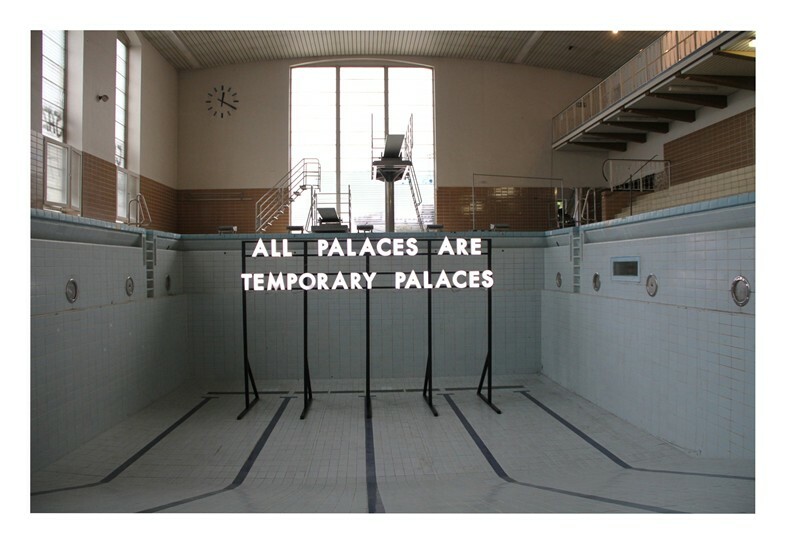 However it was this work about “All Palaces Are Temporary Palaces” that resonated with me. 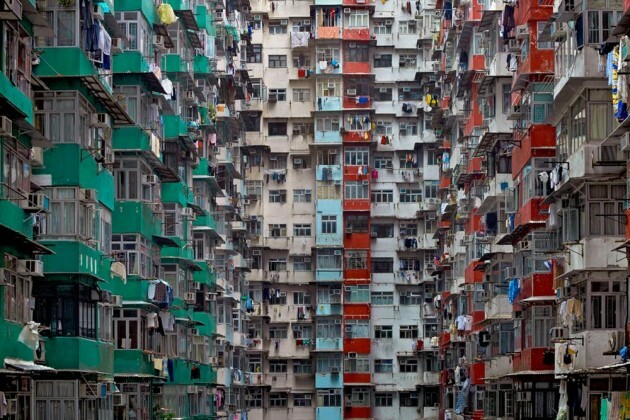 The idea that one builds a palace, a castle or even a house with a vision. That vision or idea changes with time so hence this once dream place or palace is only a temporary palace or utopia. 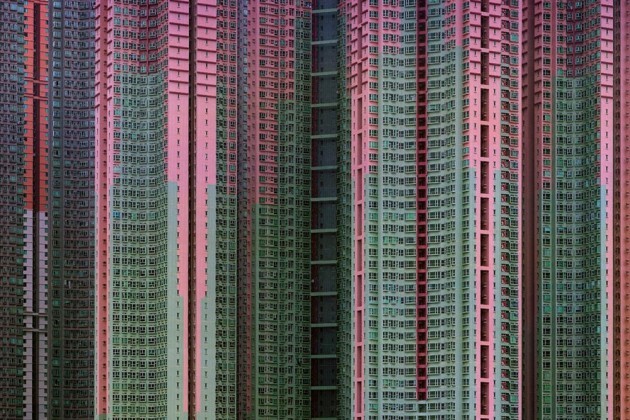 We can constantly dream utopias but once we stop and build and consider these, even fabricating them in the real. 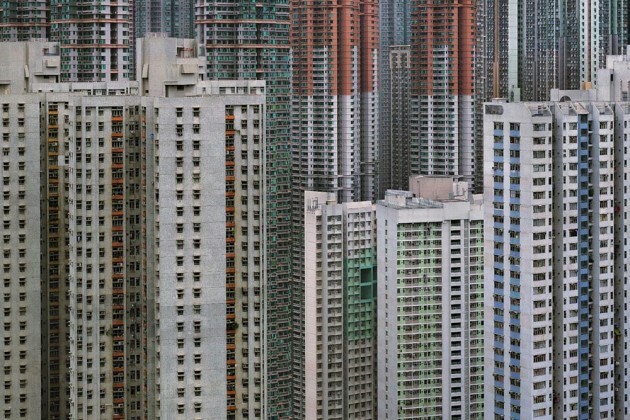 We really only build a past utopia something that was once. An intriguing concept: how to create an art exhibition about the inability to communicate? That is what curator Rachel Valinsky has set out to do in Itself Not So, the current group show at Lisa Cooley on the Lower East Side, and for the most part, her selections neatly vault past the inherent paradox of the proposition. Typically (though not necessarily) caused by a stroke, aphasia ranges in severity from an inability to find the correct words for things to the complete loss of the capacity to use or comprehend language, whether spoken, written or signed. At the same time, it does not interfere with the patient’s mental faculties, which only increases the frustration of those suffering from the disorder. The metaphoric implications of aphasia’s “fundamental rupture between thought and expression” can be readily applied to the creative process, where the rupture between subject and form, idea and object, can often feel unbridgeable — and yet the connection must be made if the artwork is to hold together. And so how does one develop such a concept in the context of an exhibition? The curator’s answer is evidently to present works in which deliberate omissions and obfuscations are major components, as if they are confronting us with their own unmaking. This idea is at its most conspicuous in a work like Michael Dean’s “Analogue Series (tongue) On the pronunciation of the letter L” (2014), which features a straight-back chair with a black (aphasic?) tongue in the place of one of its four legs, rendering it unusable. In a piece by Ryan Gander, which bears the impossibly long title, “Associative Template # 23 – (And all that chatter around your career) *Debit and Credit by Dan Fox, first published in Frieze, Issue 119, Nov-Dec 2008” (2009), aphasia’s gaps in comprehension are suggested by the holes left in a large, handprinted photograph from which sizable sections have been laser-cut and placed on the floor beneath it. The sensation of halting, unclear thoughts is visualized to striking effect in Fia Backström’s “An-alpha/pet-isms…” (2014), an installation consisting of sheets of clear vinyl film hanging from five standing steel frames, upon which letters of the alphabet float like obscured, distorted ghosts amid inky clouds, blurs and blots. And there is “I Hate” (2007), a hi-def video by Imogen Stidworthy that focuses on a middle-aged man, presumably afflicted with aphasia, and his attempts to try and speak. All of these works walk the tightrope between clarity and unintelligibility in ways that are by turns visceral, heady, sensuous and whimsical. The reason behind including some of the other works in the show is not as clear-cut, but that makes them no less engaging. There’s artist/musician Ben Vida’s “Slipping Control (pink/green/blue)” (2013-2014), an elegantly designed triptych comprised of three framed digital prints employing patterns of letters laid out in the spaces between pink, green and blue rectangles. The work is the basis for a vocal piece performed by the artist, whose repetitive, percussive soundings could be likened to aphasic stammering, but without the loss of control experienced by the patient. Rick Myers’s “Either side of the eye” (2010) offers two steel squares covered in lubricating flake graphite, one featuring a concave depression and the other with a matching convex protrusion. A quick glance can fool the eye as to which is which, but such visual ambiguity doesn’t seem to touch on the communicational handicaps stemming from the disorder. There are two other abstractions in the show, both by James Hoff, though they look like the work of two different artists. “Concept Virus #1” (2013), in enamel on aluminum, looks like hyper-pixelated video snow, while “Stuxnet No. 5” (2014), a red, white, blue and black Chromalux transfer on aluminum, is a Gerhard Richter-like smear of color. Neither seems to fit under the exhibition’s umbrella, which is also true of a conceptual piece by Julien Bismuth called “A train of thought” (2011), consisting of four sticks painted different colors on each of their four sides. In the notes for this work we are told, “The sticks are rotated daily so as to go through all 24 permutations of the four-color sequence.” Perhaps the piece’s daily evolution is meant to correspond with the slow, frustrating grind of rehabilitative therapy? According to its wall text, another conceptual work, Research Services’ “If You’re Phone Doesn’t Ring, It’s Me” (2014), takes the subject of aphasia “as a social phenomenon triangulated by politics, aesthetics, and technology.” The artists, soliciting phone numbers from the viewing public, plan to interview participants via “robotic avatars” and broadcast the conversations in the gallery. Both Sue Tompkins and Christopher Knowles use typewriters to create their works. Tompkins’ handsome, 18-part “The Lost Weekend” (2014) runs in a horizontal line across two sides of a corner of the room. Incorporating typewritten designs and enigmatic phrases on letter-size sheets of newsprint, the piece’s mystery-shrouded words could be considered stand-ins for the confusion over precise meanings that aphasia can cause. Knowles, who received a diagnosis of autism when he was a child and came into prominence at the age of 17 when his poetry was included in the libretto for Philip Glass’s Einstein on the Beach(1976), has contributed two of his pattern-based, black-and-red typewriter pieces, “Designs” and “Butterfly Blocks,” both from the 1980s. At the top of “Designs,” he has repeated the words “black” and “red” in their corresponding colors. The self-evident meaning of those marks, which soon give way to complex streams and patterns of a single letter — the lowercase “c” — embodies a poignant literalism in search of human connection. There is no abstraction, no chance of a mistake: red is red and black is black, a simple truth that marks the first step in the stairwell toward a sense of surety and understanding. The poets Susan Howe and Aram Saroyan employ their own poetry as works of art in very different, very potent ways. Howe uses another obsolete technology, letterpress, to create drifting, squeezed and fragmented shapes out of excerpts from her poems; we don’t know what to respond to first, the elegance of the designs or the music of the words (some of which are illegible). But this is an instance of neither/nor — the physical beauty of the objects creates a doubled meaning, with each element dependent upon and inseparable from the other. Aram Saroyan, a pioneer of Minimalist poetry, is showing “Lighght” (1989), the yellow-on-white silkscreen he made from his famous (or, for some, notorious) one-word poem, “lighght,” which was first published in 1965. Like the orders of significance in the pieces by Knowles and Howe, the image in Saroyan’s print is suspended between, and compounded by, what constitutes a word and the indefinable visual resonances carried by its semiotic representation. These poets, rather than falling into the rupture between thought and expression, bring to their visual works an understanding of the limits of language and the tools — from the metrical to the symbolic to the typographic — needed to traverse them. To make art out of their poems is just another step along the continuum. Itself Not So continues at Lisa Cooley (107 Norfolk Street, Lower East Side, Manhattan) through August 29. 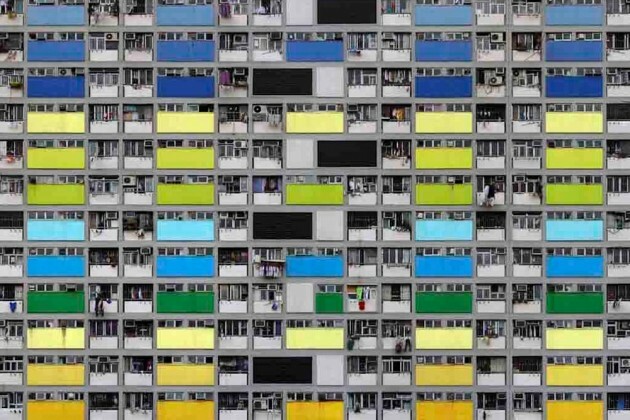 For about 20 years German photographer Michael Wolf has been living in Hong Kong – a city as beautiful and exciting as it is crowded. 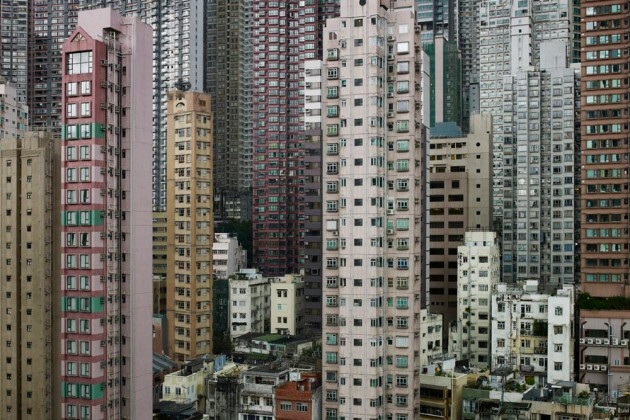 Being one of the most densely populated areas in the world, with an overall density of some 6,300 people per square kilometer, Hong Kong’s architecture is accordingly dominated by staggering highrise buildings. 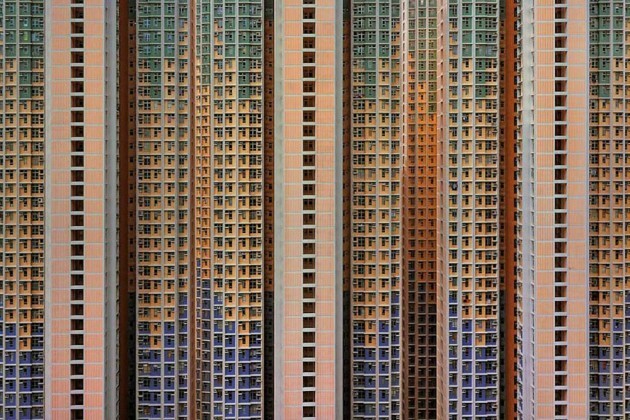 For his recent photo series ‘Architecture of Density’ Wolf has captured the city’s unique landscape. 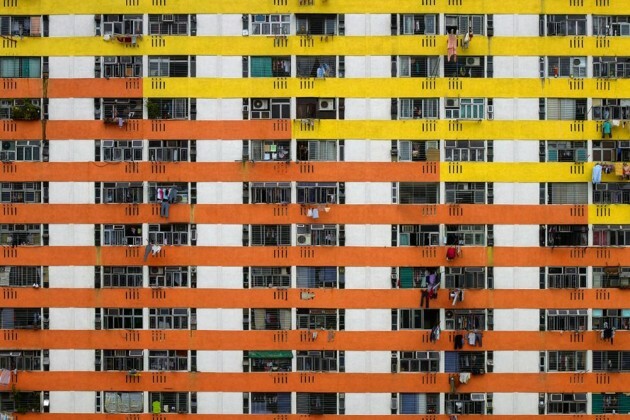 By removing skies and horizons, thus focusing on and highlighting the structures’ abstract elements, his photographs evoke a sense of endlessness – an ever-growing urban space. 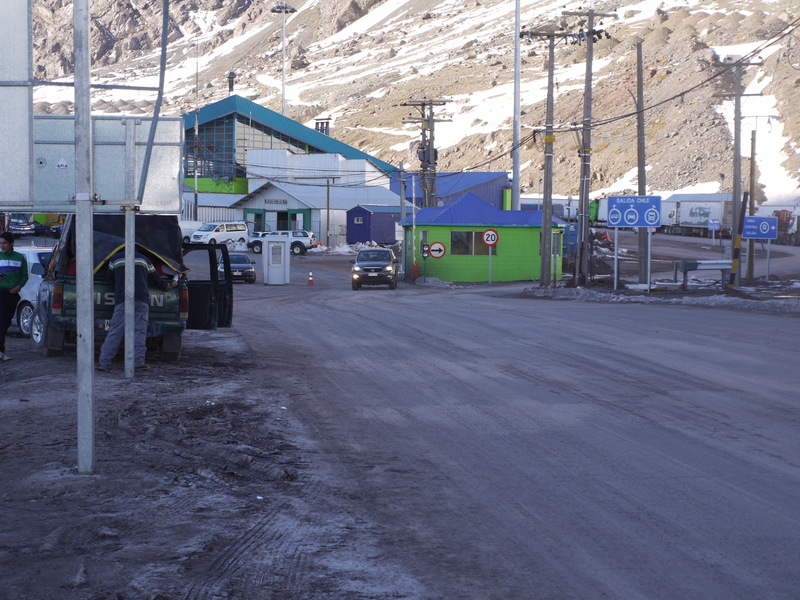 Living here in Portillo is a trip, a place full of contradictions. 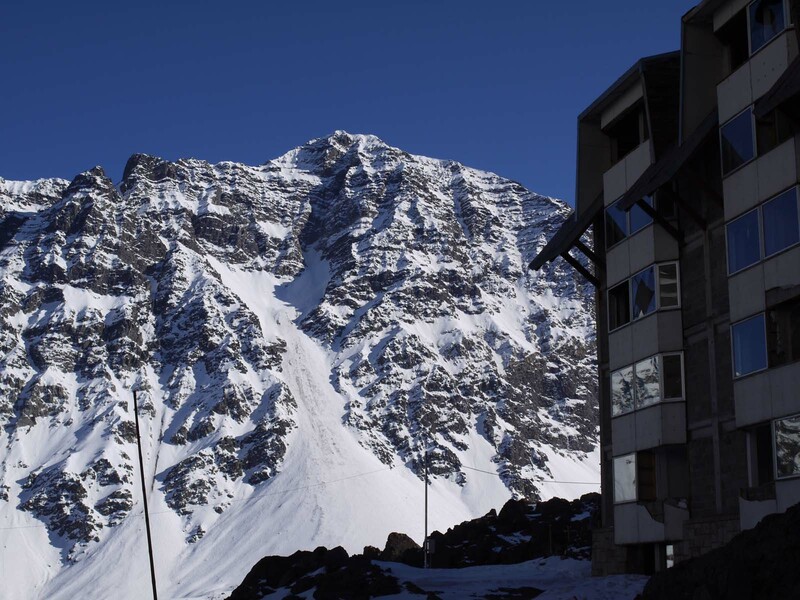 The spectacular scenery, world class freeride terrain for skiers and snowboarders and fully serviced hotel in the heart of the Andes. 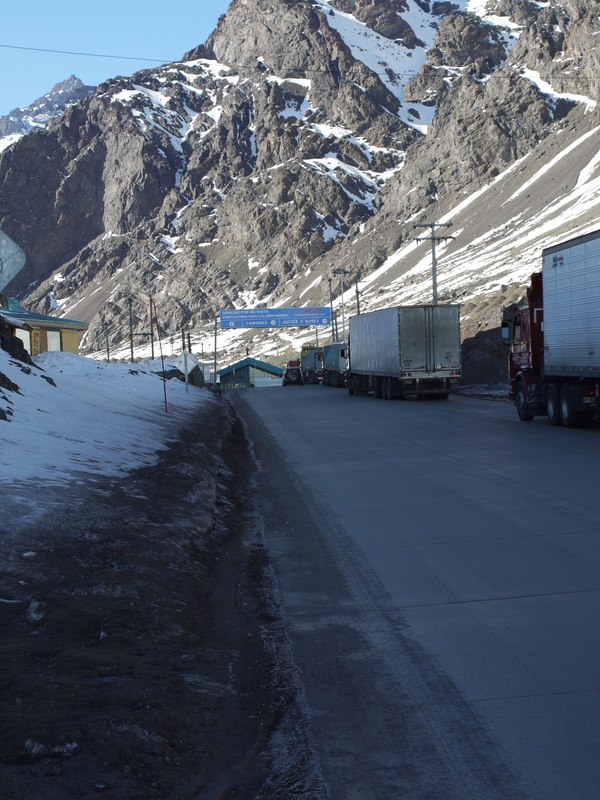 However this is also one of the passes between Chile and Argentina, this picturesque place is a thoroughfare for trucks transporting all kinds of goods. 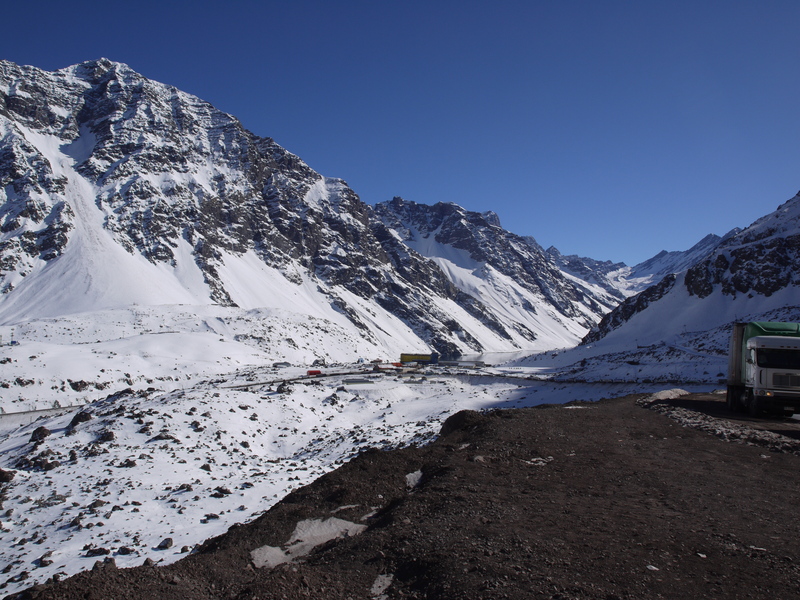 Its a hostile place with the road being subject to closures frequently due to the winding switchbacks that lead up to the border. 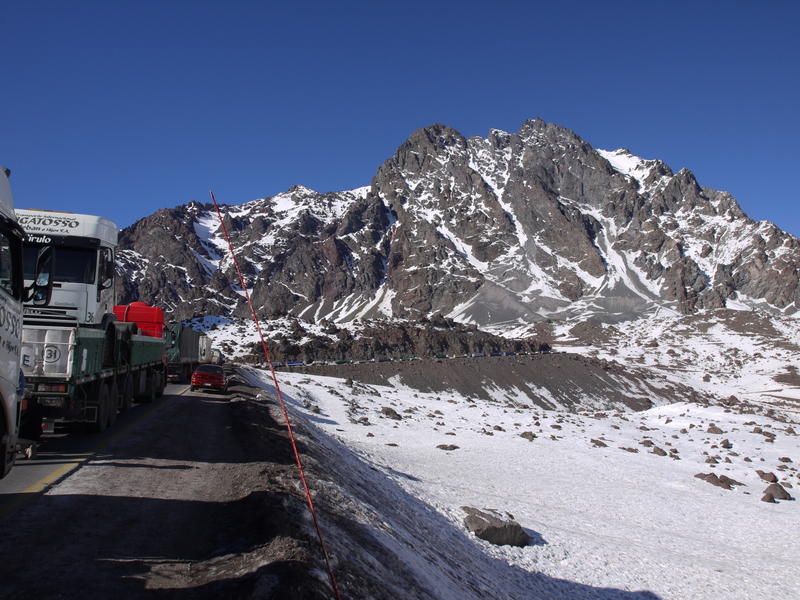 The parked up trucks display the amount of traffic that passes through on any given day navigating the pass. The border itself is a ramshackle warehouse of a place. Similar to a lot of the buildings in these mountains it looks temporary, subject to movement both by mother nature and man. This living so close to a border in a man made utopia is quite surreal, the road provides a reminder to the real, the world that operates away from here. For those not from here the road is understandable whilst the resort is itself a heterotopia. 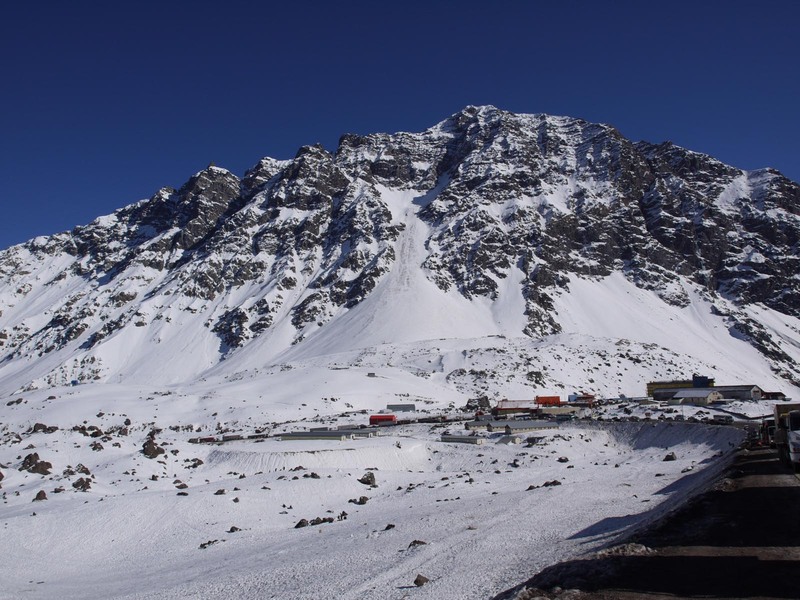 A yellow hotel built within a South American country for those who have the money to enjoy the finer things in life and privileged enough to be able to ski. I am sure it will be a time in my life that I will make me question daily where I am. The idea of only knowing what is beneath your feet and not really knowing what the next step will bring. This borderland seems to be less certain maybe similar to the buildings the ground is less certain or not as comprehendible. People Are Afraid To Merge..